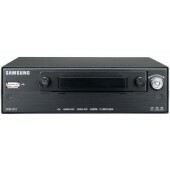 For IP video applications that demand a dedicated recording appliance, Samsung/Hanwha Techwin offers a complete range of high performance NVRs that are designed to provide high quality images while conserving storage and network resources. 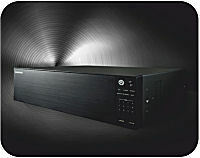 A key feature of Samsung/Hanwha Techwin rsquo;s NVRs is that they offer the ability to segregate camera video traffic from playback and display traffic without the need for complicated and expensive network hardware or integration work. Up to 16CH 12megapixel supported. H.265, H.264, MJPEG codec supported. WiseStream support. SUNAPI / ONVIF camerea recording. Max. 128Mbps recording. Plug & play by 4 PoE / PoE+ ports. 2 SATA (Front-swap) Max. 2TB (HDD, Non-RAID mode) / Max. 4TB (SSD, Non-RAID mode). RAID 1 support. 16 Bay iSCSI External Storage. Max. Recording bandwidth 800Mbps. Max. 16 Hot-Swap HDDs (Max. 128TB). RAID 0 / 10 / 5 / 6, RAID5 + Hotstandby. Easy Configuration : One-Touch Setup of RAID Volume. Max. 8 NVRs can be connected. Network Failover, Load Balancing support. Setup via Webpage & Remote Storage Management S/W. 4 Gigabit Ethernet Ports. 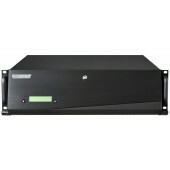 3U chassis with Front Key-Lock. 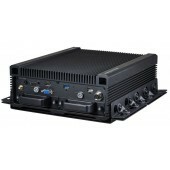 Dual SMPS for high reliability.